BE Wok & sushi Chinese and Japanese restaurant, featuring a rich assortment of sushi rolls, fresh fish, teriyaki and Wok-fired specials. Your satisfaction guaranteed! Come for a short lunch or long dinner date, complemented with your choice of select wines, beers and sakes. 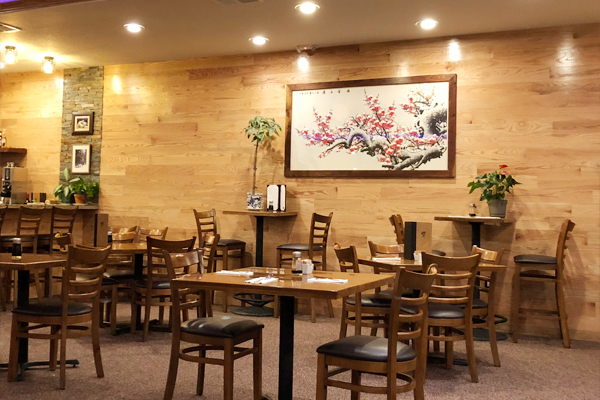 Enjoy traditional and creative Asian cuisine in a comfortable dining environment. Servings are generous and service is prompt! For home fine dining, be sure to secure our take-out menu. Visa, MasterCard, American Express, Travelers Checks and cash.